Many Building Departments throughout California have now adopted the recommendations of the California Energy Commission’s Standards for describing the intentions for a swimming pool’s equipment specification and installation criteria. Our WEB-FORM outline shall address the calculations for the SITE SPECIFIC energy efficient use and hydraulic flow characteristics for the filtering, heating pumping and piping system. A.) Pool and Spa System Type Pick from Pool only, Spa only, or Pool and Spa. B.) 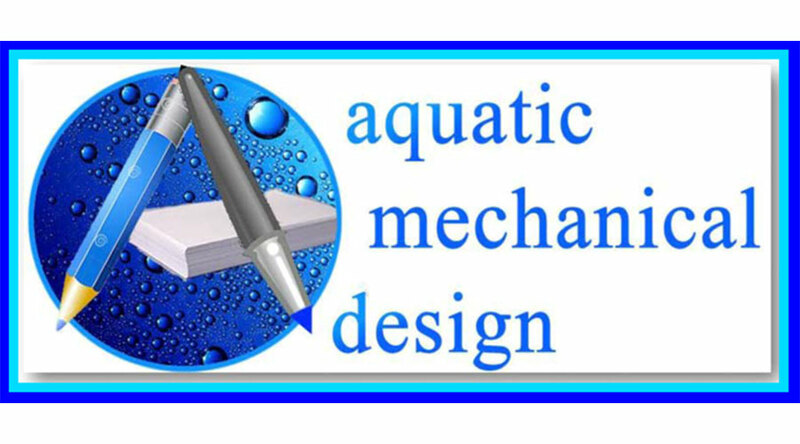 Pool and Spa Systems and Equipment Requirements (Section 110.4(a) and 110.5). Before any pool or spa heating system or equipment may be installed, the manufacturer must certify to the Energy Commission that the system or equipment complies with §110.4 and §110.5. The requirements include minimum heating efficiency according to Appliance Efficiency Regulations, an on-off switch outside the heater, permanent and weatherproof operating instructions, no continuous pilot light, and no electric resistance heating. A time switch or similar control mechanism must be installed as part of the pool water circulation control system that will allow all pumps to be set or programmed to run only during the off-peak electric demand period and for the minimum time necessary to maintain the water in the condition required by applicable public health standards. There must be a length of straight pipe that is greater than or equal to at least 4 inches pipe diameters installed before the pump. Refer to Table D below for the required pipe length. Traditional hard 90° elbows are not allowed. All elbows must be sweep elbows or a type of elbow that has a pressure drop less than the pressure drop of straight pipe with a length of 30 pipe diameters. Backwash valves must be sized to the diameter of the return pipe or two inches, whichever is greater. Multi-port backwash valves have a high pressure drop and are discouraged. By completing the WEB-FORM that is located at the bottom of this web-page and making arrangements for the remittance of payment (please call (800) 766-5259), then we can better assist you in getting your project through the Plan Check Review Process. D.09) Specified "RETURN" Pipe Diameter ( total inches) * Select EFFLUENT size	1.5"	2.0"	2.5"	3.0"	4.0"	6.0"	8.0"
D.010) Specified "SUCTION" Pipe Diameter (total inches) * Select IN-FLUENT size	1.5"	2.0"	2.5"	3.0"	4.0"	6.0"	8.0"
The responsible person's signature NAME HERE ___________________ on this compliance document affirms that all applicable requirements in this table shall be met when the installation is completed. E. POOL SYSTEM PIPING (SECTION 1S0.0(P)2) ALL ELBOWS ARE SWEEP ELBOWS, OR AN ELBOW TYPE THAT HAS A PRESSURE DROP THAT IS LESS THAN THE PRESSURE DROP OF A STRAIGHT PIPE WITH A LENGTH OF 30 PIPE DIAMETERS. F. POOL FILTERS AND VALVES (SECTION 1S0.0(P)3 AND 4) IF A FILTER IS USED IN A POOL INTENDED FOR PUBLIC USE: THE SIZE OF THE FILTER IS AT LEAST THE SIZE SPECIFIED IN NSF/ ANSI 5O. A PROJECT'S REQUIREMENTS, REGARDING AN URGENCY MAY INVOLVE OVERTIME PERFORMANCES AND THEREFORE SHALL INVOLVE AN INCREASE IN OUR PRICING SCHEDULE IN ORDER TO ACCOMMODATE THE TURN-AROUND TIME-FRAME. CALL (800) 766-5259 IN ORDER TO ARRANGE REMITTANCE OF PAYMENT AND CONFIRMATION OF THE PROCESSING OF YOUR INFORMATION UPON SUBMISSION.